In Half Wave Rectifier, when AC supply is applied at the input, positive half cycle appears across the load, whereas the negative half cycle is suppressed. This can be done by using the semiconductor PN – junction diode. The diode allows the current to flow only in one direction. Thus, convert the AC voltage into DC voltage. 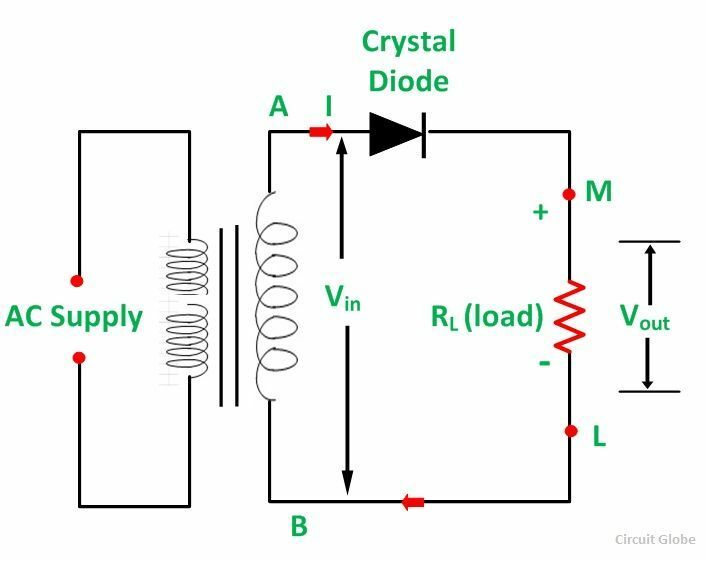 In half wave rectification, only one crystal diode is used. It is connected in the circuit as shown below. The AC supply to be rectified is generally given through a transformer. The transformer is used to step down or step up the main supply voltage as per the requirement. It also isolates the rectifier from power lines and thus reduces the risk of electric shock. 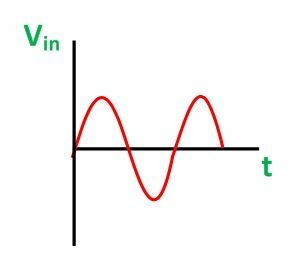 When AC supply is switched ON the alternating voltage (Vin) shown in the figure below appears across the terminal AB at the secondary winding. During the positive half cycle, the terminal A is positive with respect to B and the crystal diode is forward biased. Therefore, it conducts and current flows through the load resistor RL. This current varies in magnitude as shown in the wave diagram shown below. Thus, a positive half cycle of the output voltage (Vout = iRL) appears across the load resistor RL shown in the figure below. 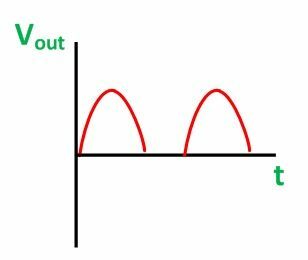 During the negative half cycle when the diode is reverse biased the maximum value of the voltage coming across the diode is called the peak inverse voltage. 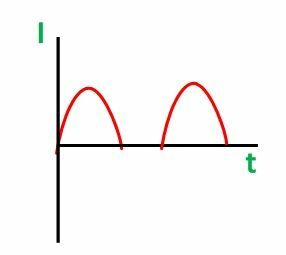 As the current flows through the load resistor RL, only in one direction, i.e., from M to L. Hence, a DC output is obtained across RL, which is pulsating in nature. The output is low because AC supply delivers power only half of the time. The output contains more alternating component (ripples). Therefore, it needs heavy filter circuit to smooth out the output.